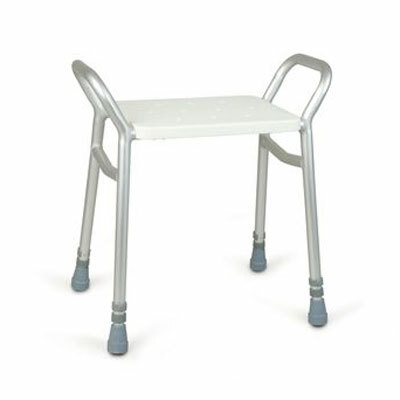 This adjustable shower stool has easy access handles on both sides of the seat to provide additional safety and support. The stool is lightweight and corrosion resistant. This adjustable shower stool has easy access handles on both sides of the seat to provide additional safety and support. The stool is lightweight and corrosion resistant thanks to its aluminium frame. Product Seat Size 11 x 15"
Product Seat Height 18 to 23"